Love is in the air. As we get closer to the month of June, more couples celebrate their love with wedding ceremonies. As you and your fiancé affirm your vows in front of friends and family, many plans must be accomplished to get you to that moment. For instance, the dress, bride’s maids, groomsmen, decorations, the guest list and the cake. Finding the right wedding photographer for better wedding pictures from your day is extremely important, too. Having an experienced wedding photographer makes the difference in the quality of photographs you receive after your big day has passed. Once the day or moment has passed, there is no getting it back. Often, the events of the day become a blur. An observant photographer, like PhotosinMotion.net, will pleasantly surprise you with photos of moments you may have missed or forgotten. PhotosinMotion.net compiled a short list to help you decide how to select the right Tampa Bay wedding photographer and get the most from the photo opportunities. Yes, these are only 7 suggestions from other photographers and PhotosinMotion.net. 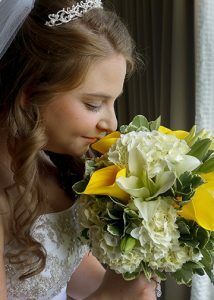 There are many more, but these will get you started and provide tremendous help towards getting better wedding pictures. First, if your wedding is coming up in the next month or so and you haven’t gotten a photographer, find a professional experienced wedding photographer fast! Your photographs depend on it! Besides, you don’t want to settle for second-rate. Then, meet with your photographer. Even if you are familiar with their work or the photographer is recommended by friends or family, take advantage of meeting and discussing details. Try scheduling a meeting at your wedding venue and discuss locations for photo opportunities. Yes, weddings are expensive these days. Most wedding photographers work on an hourly or day rate, depending on the length of time for the wedding. So, having a realistic number in mind will help your decision-making process. Wedding schedules are critical. Often a venue may have more than just your ceremony booked for the day. So, it’s imperative that things go smoothly. Yes, there will be hick-ups that cause delays. However, the more you outline your photo schedule, the less stressful the day will be. Photos in the bride’s suite pre-dress/hair/makeup etc. Another way to help your photographer is making a list of everyone you and your fiancé would like to be photographed with. Many times, wedding photographers hear couples say that they didn’t get a photo with person x. If you really want a special photo with anyone, please put them on the list. Decide on where your family, bridal party, and romantic pictures should be taken so you get variety in your photos. As stated in the first suggestion, as you meet with your photographer at the venue finding onsite locations presents a great opportunity to make these decisions. 6. Are you using a wedding planner? If a wedding planner is involved, getting the details you need will almost certainly be quicker and easier. Without a wedding planner, you could end up spending a lot of time gathering information (and managing expectations). 7. Can’t Afford a Wedding Planner? PhotosinMotion.net realizes that everyone’s budget can’t afford a wedding planner. That’s ok. Besides, even though your wedding is a big day in your lives, it’s still just one day. So, don’t stress if you can’t afford one. You may have to lean on friends and family members for help. To keep the photography schedule flowing smoothly and herding everyone who needs to be in the photos, PhotosinMotion.net recommends appointing a respected member of the family. Every family has that one member that everyone seems to listen to and doesn’t want to cross. This person can deliver a look to get everyone else to comply. Recruit that person to assist the photographer in getting everyone where they need to be. PhotosinMotion.net has found this to be the most effective way of handling the small budget wedding schedule. 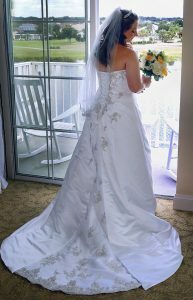 PhotosinMotion.net realizes that there are many other steps and considerations for planning with a wedding photographer. There are many that we could not get to in the space of this blog. As you begin to plan, other things may come to light, like letting the photographer know your favorite features of the dress, first look, photographing the venue before guests arrive and all the getting-dressed photos. We hope this compilation from us and other wedding photographers help you have a more enjoyable wedding day. Please contact PhotosinMotion.net for yours or a friend’s big day. We would love to capture those special moments for you.